I think my athlete has shin splints! What do I do?!! | Delta Physical Therapy Experts|I think my athlete has shin splints! What do I do?!! Well, it is officially spring in the Quackenbush household! Baseball, Little League, traveling teams, and soccer have all started! The way I know this is because my boys have shin splints! Drake is now 11 years old and had enjoyed playing basketball throughout the fall. As the weather started to break, his friends began talking about the upcoming baseball season and he decided at the last minute he wanted to play also. He got out his cleats from last year and of course they were two sizes too small. We found him a nice pair of Adidas that fit well and he started baseball practice and games. At the end of the second week of play however, his attitude and countenance had changed. As I questioned him, he said he was still really liking baseball but wasn’t sure he wanted to continue to play. As with most boys, I had to begin to pry out of him what the real problem was. Tears were welling up in his eyes as he told me that he didn’t want to play because when he runs his legs and ankles hurt too bad! Of all people, I should’ve seen this coming and could have prevented it! He had a nasty case of shin splints due to new cleats. He needed a solution! He was not sure about Dad and his “tricks”– the worst patients to treat are your own family! I know many of you are in the same situation and I thought this would be a good opportunity to share what I typically do AND what I should have done for my own son. First things first: Unfortunately, it is rare when you will find a pair of cleats for baseball or soccer, dance shoes or running spikes that have adequate insoles and arch support. Most, if not all, cleats have a very flat and hard insole and the cleats to attach are molded to this surface. If your child is at all prone for a “pronated foot” commonly known as a flat foot he or she will very likely develop symptoms of shin splints. How do I tell if my child is developing shin splints? Like most common terms, “shin splints” is a catchall term for many conditions of the lower legs. However, the most prevalent type is easy to determine. About halfway up the lower leg you can press just behind the shinbone (the tibia) to see if this area is tender. You do not have to press very hard. 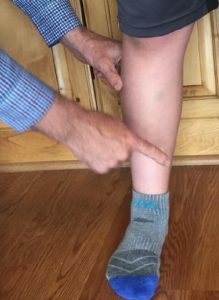 If your child is very tender in this area they are developing tendinitis which is the most common form of shin splints. This tenderness indicates that the tendons and muscles in this area are overworking trying to protect the arch of the foot. For many years I’ve used a very simple solution that works extremely well in cleats and sport shoes. 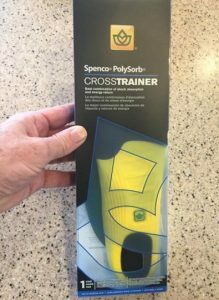 The first thing I do is order a pair of Spenco cross trainer or hiker insoles. These can be found at most pharmacies, physical therapy clinics, and easily online. There are many types of Spenco insoles but the cross trainer and the hiker give the best support. Pay close attention to the sizing. These insoles come in men’s and women’s sizing but are the exact same insole. You will want to make sure that you order the pair that best fits your child’s shoe size. They come in a shoe size range so you’ll want to be aware to pay attention to this detail. 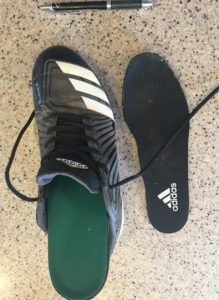 After you have the insoles, you want to take your child’s cleats and pull out the existing insole inside of the cleats. Nearly all of them are lightly glued down so don’t be afraid to get a hold of the edge and carefully peel it out. You will want to try and keep it intact because you will need to use it as a template at the next step. You can now take the insole and use it as a template to trace the proper sizing for your shoe on the Spenco insole. Make sure to keep the heel all the way up the back and only trace and remove the excess toe portion. You can now carefully cut the excess toe area using a pair of household scissors. After you have trimmed the access insole, you can now slide the Spenco insoles into the shoe. A common mistake though is often times people try and put the old insole in the shoe and also the new insole which makes the shoe now too small and uncomfortable. Make sure not to put both insoles back into the shoe. You may have to try to push the front of the insole to the tip of the shoes so that the toes are comfortable. Once it is in place, your athlete should be able to put their shoes on and feel an immediate difference and improvement. Like a pair of shoes, the insoles do not last forever. I have found that they will last about three months before they will need to be replaced depending on how heavily they are being used. I’ve also found that after you replace them, they can be used in other older shoes for chores, work boots, or other aspects to help protect their feet. happy. And I think any parent would agree with me that when their child is happy the parent is happy! I hope this is been helpful! If you have comments or other youth sports related questions please feel free to contact me and I will do my best to answer your questions or create another blog post on the subject! 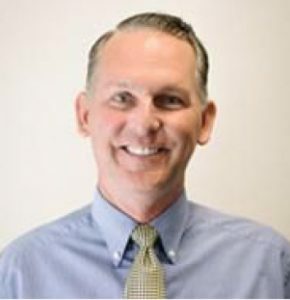 Dr. L Howard Quackenbush P.T., D.P.T, ATC, CSCS is the Director and Owner of Delta Physical Therapy and Sports Medicine PC and has over 25 years of experience treating athletes of all ages.